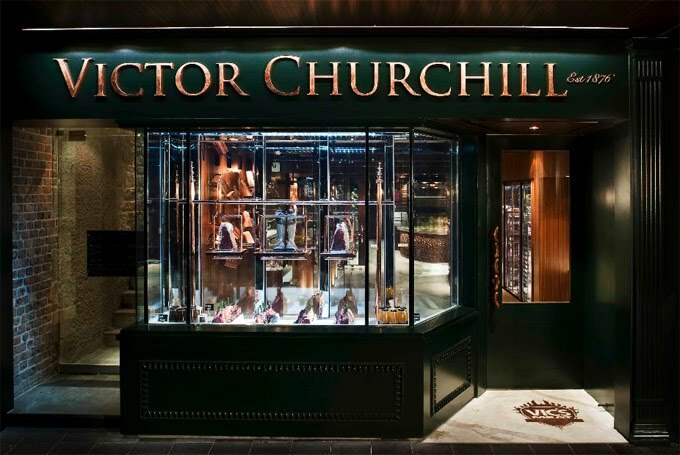 Established in 1876, the original Churchill’s butcher shop, located on Queen Street in Woollahra, was founded by James Churchill. Victor and Cyril Churchill, James’ sons, took over the management of the store with Victor Churchill managing the store for the longest period of time. 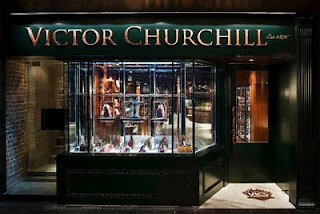 The name, “Victor Churchill” is a tribute to the Churchill family and to Victor Puharich, a master butcher. The store boasts so many unique, custom-designed and exclusive features that the only way to absorb it all is a real-life visit. 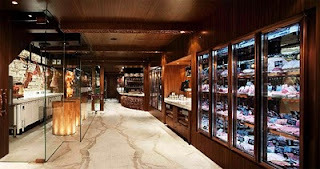 The features provoke, intrigue and amuse the customer – starting with the façade with its double-glazed, refrigerated vitrine for viewing the ever-changing array of hanging meat and poultry, plus selections displayed on custom-made copper and glass shelving.